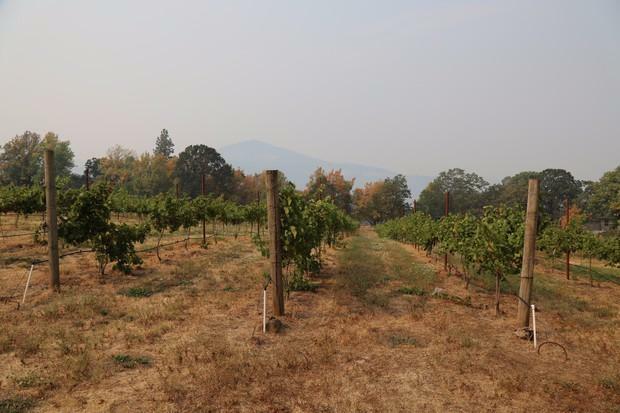 For reporters in southern Oregon and northern California, late summer to early fall has traditionally been “fire season.” In the newsroom, nobody gets to take vacation between July 15 and September 15; it’s all hands on deck. That often means long days in the field and long days on the phone, tracking down the latest updates on the fires affecting JPR listeners. While there seems to be a general consensus that we need to thin forests and use prescribed burning to help re-establish fire's healthy role in these ecosystems, the specifics quickly get mired in controversy. And since the mountains and valleys of our region are prime wildfire country, we’ve usually got multiple fires going at once. That means staying on top of evacuation orders, road closures and fire growth information that can change from hour to hour. In recent years, fire season is tending to arrive earlier, stay later and be generally more intense. This summer, JPR reporter April Ehrlich and I each spent days in Redding, covering the Carr fire that swept through Shasta County, destroying more than 1,000 homes. We spoke with people staying in emergency shelters or camping with friends or relatives. Some had lost virtually everything but the clothes on their backs. We spoke with fire commanders who kept us updated on how the fight was going and with scientists who explained why it seems wildfires are getting bigger and more frequent. We spoke with volunteer aid workers and government employees working to get help to those who most needed it. We spoke with businesspeople about the impacts the disaster had on their livelihoods. We spoke with people trying to assess the risks and ease the environmental impacts of miles of burned-over hillsides and incinerated homes. Folks in northern California had a particularly grim summer, smoke-wise. Between the Carr, Mendocino, Hirz and Delta fires (not to mention the Klamathon fire in early July), the air was nasty for weeks pretty much from the Bay Area north. In southern Oregon, things weren’t much better. The National Weather Service in Medford says Air Quality Index readings show a marked deterioration in recent years. In 2001, there were no days in which AIQ readings in Medford were at the “Unhealthy” level or worse. In 2013, there were nine “Unhealthy” or worse days. Last year, it was 15 days; this year, 24. Not being able to breathe tends to make people cranky. And having to stay cooped up indoors during sunny summer weather because the air was poisoned didn’t sit well with much of anybody in the region. Tourists and locals alike groused their disappointment, and many businesses in the region that depend on the visitor dollar saw their income take a steep drop. The Oregon Shakespeare Festival had to cancel or relocate more than two dozen outdoor shows, costing the non-profit over $2 million. According to the Ashland Chamber of Commerce, everything from outdoor dining to wine tasting rooms to rafting outfitters reported business was down anywhere from 15 to 50 percent. So there’s added urgency to working out how best to approach the problem of forests that have become overgrown and prone to unnaturally-large wildfires. While there seems to be a general consensus that we need to thin forests and use prescribed burning to help re-establish fire’s healthy role in these ecosystems, the specifics quickly get mired in controversy. And even if we do manage to agree on how best to “weed the forests”—and somehow find the huge amounts of money required to do the job—it’ll take a couple of decades at least for those results to show up. So it would seem that adaptation to what could well be a new normal of more frequent fire and smoke is the only real option for the foreseeable future. With that in mind, folks in business and in local and state government are working to develop new approaches for conducting commerce and living our lives in this place. Like pretty much everyone else, those of us in the JPR newsroom are considering how we can best adapt. We’re looking at how we operate so we can serve our listeners better. And we’re pondering what kinds of attitude adjustments may become necessary to get comfortable with a climate that’s changing our lives in unwanted ways. Liam Moriarty has been covering news in the Pacific Northwest for more than 20 years. After a stint as JPR’s News Director from 2002 to 2005, Liam covered the environment in Seattle, then reported on European issues from France. He returned to JPR in 2013, turning his talents to covering the stories that are important to the people of this very special region. Last summer’s wildfire season had the distinction of being one of the smokiest in Oregon’s history. And you might see evidence of that showing up in an unusual place: your glass of pinot noir. The aroma and taste of smoke can make it into nearby grapes and linger in the wine, even after it’s been fermented and distilled. That’s worrying growers and winemakers here in Oregon. 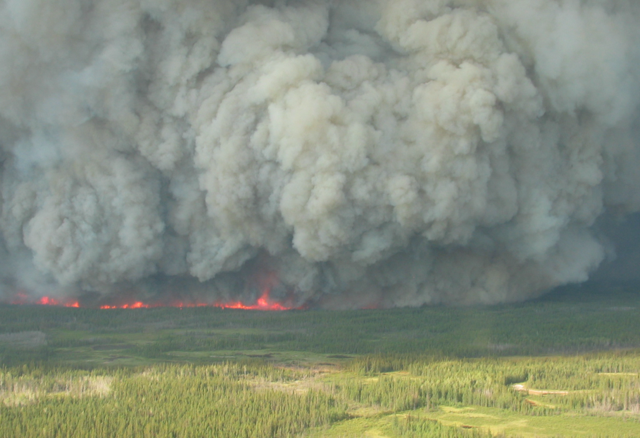 Warming air masses resulting from climate change create the conditions for intense forest fires in the cold north, explains Scott Goetz, a senior scientist and deputy director at the Woods Hole Research Center in Massachusetts.